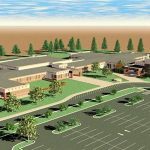 Design-Build Contractor: Intercontinental Construction Contracting, Inc.
Design-Build Contractor: Turtle Associates, LLC. Solicitation N4008518R6476 WON 1597116 – Building 410 South Center Bay Renovation, Mechanicsburg, PA Design-Build Contractor: Kunj Construction Corp. Solicitation N40085-18-R-6445, WON 1561514 – NOSC Avoca ATFP Upgrades, Avoca, PA Design-Build Contractor: Kunj Construction Corp.
Design-Build Contractor: Kunj Construction Corp.
Design-Build Contractor: All Phase Services, Inc.